Winter isn’t coming, guys – it’s here. But, we can bypass the gloomy weather with the promise of all things delicious on Thanksgiving Day! We’re all looking forward to the big helpings of turkey + the plethora of side dishes that come in tow, but not all Thanksgiving favorites are created equal. With certain staples being far more unhealthy than others, we’ve ranked best and worst Thanksgiving sides to indulge in this year! Whether you go for canned cranberry sauce or a homemade recipe, you’re going to find some version of this staple on every Thanksgiving table. But, when you think about it, is anyone particularly looking forward to this one? Aside from that one Uncle you only see this time of year, probably not. The cranberry sauce does help give your make your all-brown plate a pop and breaks up the savoriness of most dishes but, as one of the worst Thanksgiving sides, it comes as a hefty price! 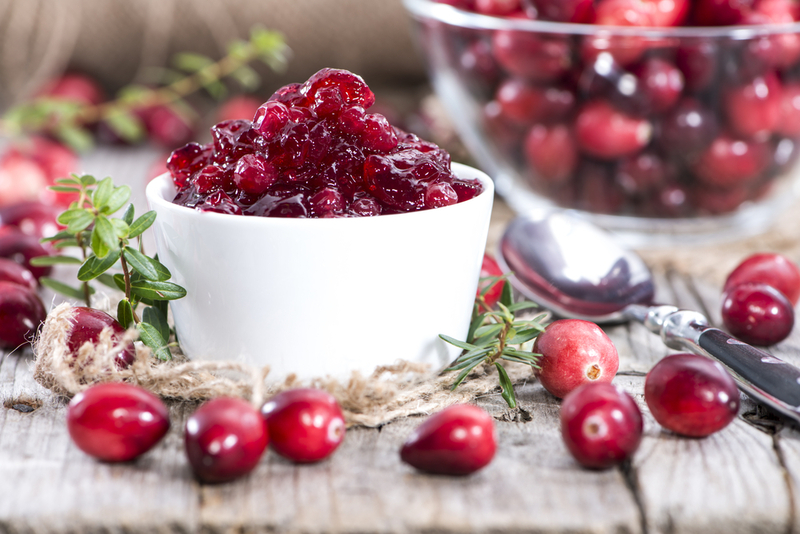 Canned cranberry sauce contains 22 g of sugar in a mere 1/4-cup serving and most of that sweetness comes from high fructose corn syrup. While we appreciate the appearance, we’ll be skipping this side this year. Hey – just because it’s a fan favorite doesn’t mean it’s not going to get called out as one of the worst Thanksgiving sides! While stuffing seems to be a love-it-or-hate-it side, you’re going to face it at one (if not every) Thanksgiving table, and that’s probably not a super healthy thing. You’re essentially loading up on bread, sodium, butter, and (sometimes) sausage when you’re adding this to your plate. If this is a staple in your Thanksgiving plane, make sure to keep an eye on the fat and sodium content as you make it. Your portion can provide a day’s worth of each if you don’t! 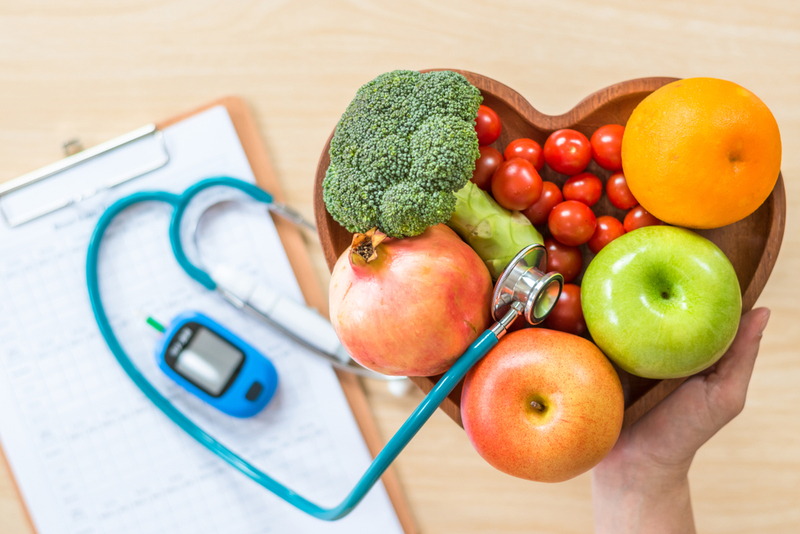 If you make stuffing at home, be mindful of adding butter or pan drippings as those ingredients boost the saturated fat and consider using wheat bread and apples rather than white bread and cranberries! This dish truly only makes an appearance at most tables twice per year, Thanksgiving + Christmas, and we if we’re being honest. 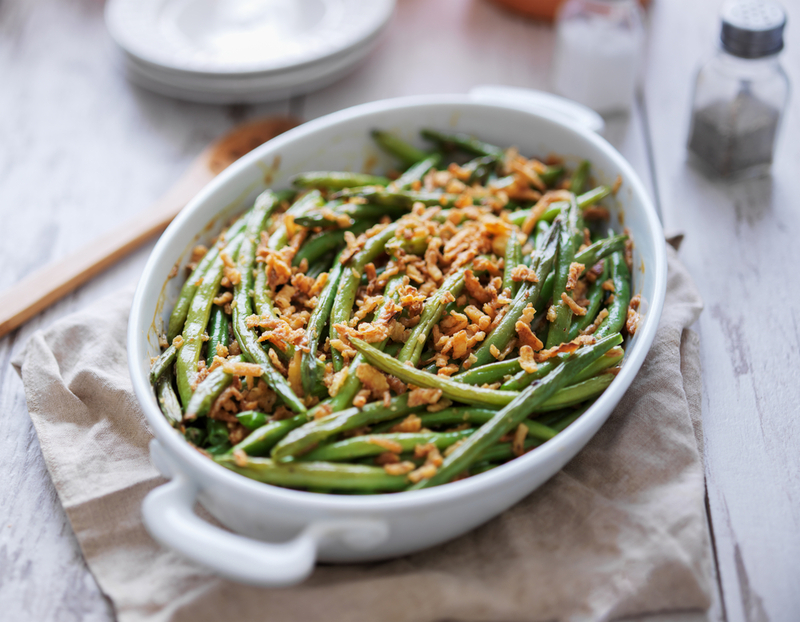 The typical Green Bean Casserole bathes the one healthy ingredient in a heavy cream sauce before and topping it with buttered breadcrumbs, cheese, or both! 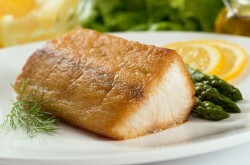 To boot, most of the ingredients aside from the green beans themselves are processed as well as high in sodium and fat. Just ½ cup of canned cream of mushroom soup packs nearly 1,000 mg of sodium, and that’s not including the fried onion topping and breadcrumbs! Thankfully, there’s plenty of healthier versions to try so you don’t have to give it up entirely if that’s your thing. Macaroni and cheese may not be what you would usually consider a Thanksgiving side dish staple, but for any table with kids (or kids at heart! 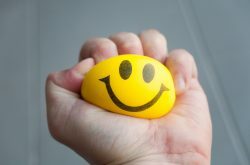 ), it’s an absolute must-have! 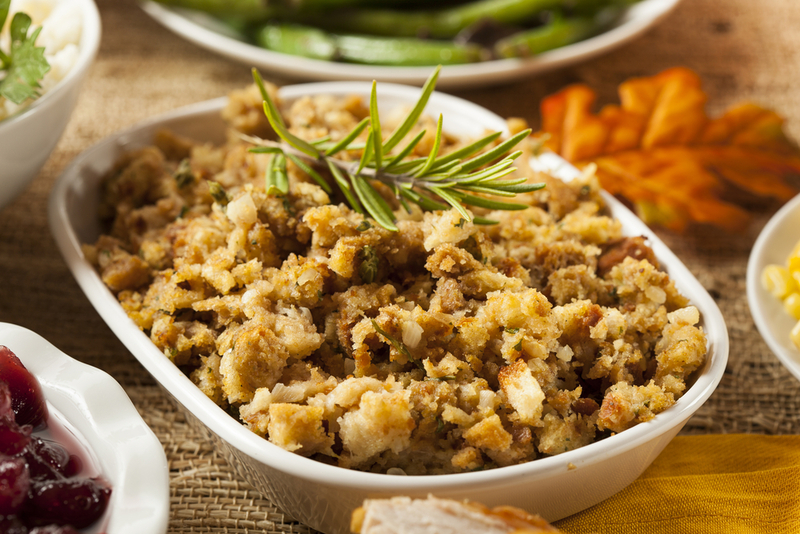 Sadly, it does remain at the top of the list in terms of the worst Thanksgiving sides. 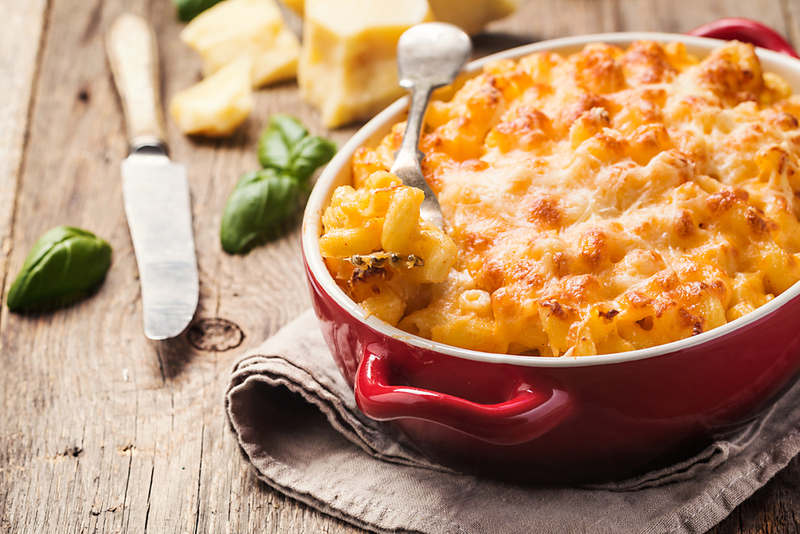 Few things are more comforting than a perfectly cheesy, homemade mac and cheese, but you can probably guess that it isn’t the healthiest option alongside stuffing, potatoes, and other carb-loading sides. This is one side you can safely skip since it’s available year-round, but the heavy fat + sodium is another major reason to stay away. If you must have it, try subbing the noodles for cauliflower and reducing the fat content through creative ingredient swaps! Sweet potato casserole is a Southern Thanksgiving classic, although some may find this dish a little too sweet to be on a dinner plate. Extra points for this one since it earned its place on the worst Thanksgiving sides list as a side topped with marshmallows! 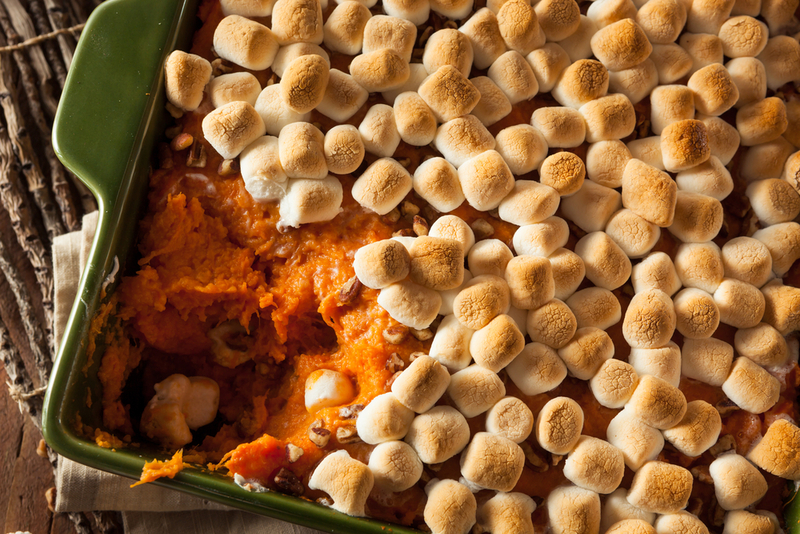 There are hundreds of sweet potato casserole recipes out there to try, but they all generally consist of sweet potatoes, sugar, butter, milk, eggs, and vanilla. Aside from the very first ingredient, none of the above are going to get this dish on any type of “healthy list” anytime soon. To make this dish a little healthier, you can swap those marshmallows for merengue, cut back on sugar and butter, or make your sweet potatoes Hasselback-style! 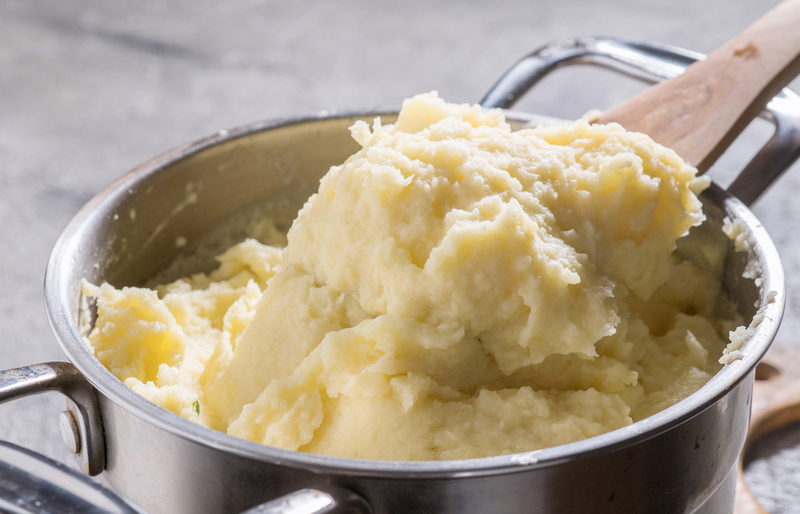 When thinking of the worst Thanksgiving sides, fatty and carb-y mashed potatoes are pretty safe on that list. But who wants to give up the creamy, buttery side at Thanksgiving? As with many Thanksgiving sides, the add-ins are the main culprits in this high-calorie, high-fat recipe but there’s good news! By using just whole milk and skipping the butter, you can save over 50 calories per serving! You can also swap half off the potato for cauliflower or parsnip. 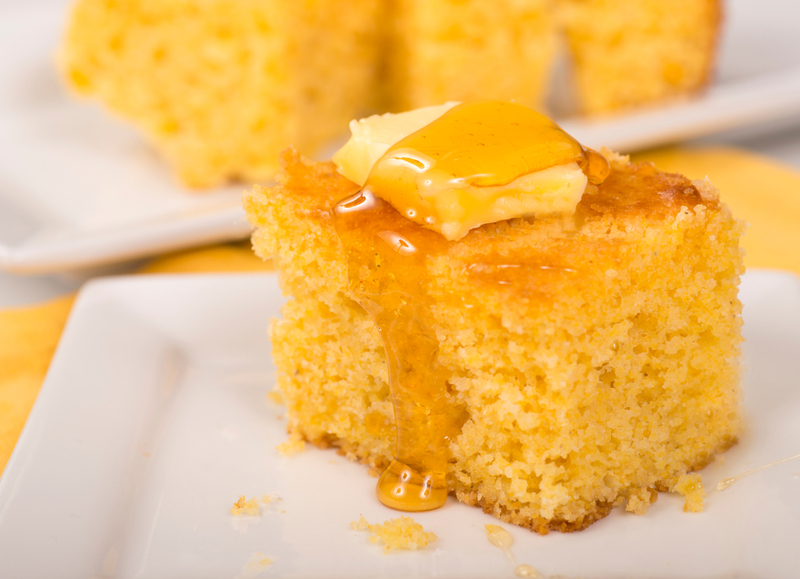 While not common in every state, any Southern Thanksgiving spread is going to have more than one cornbread on the table! Bad news, though – a modest slice has around 190 calories depending upon the ingredients added. Some homemade versions are even worse since they include use fatty ingredients like bacon, butter, and buttermilk which increase the calories even more! You can get this side anytime, really, so don’t feel obligated to add it to your Thanksgiving plate. If you do need it, lighten it up by substituting applesauce or nonfat plain Greek yogurt for part of the butter + use a lower-fat version of dairy products! Gravy can be a tasty way to add flavor to a healthy, slimming Thanksgiving plate (read: vegetables + turkey breast). Honestly though, how carefully are you portioning out your gravy servings? Some people would drink it straight from the boat if you let them, but this high-fat, high-sodium addition is quickly overserved + quite drastically adds to your plate’s fat counts. 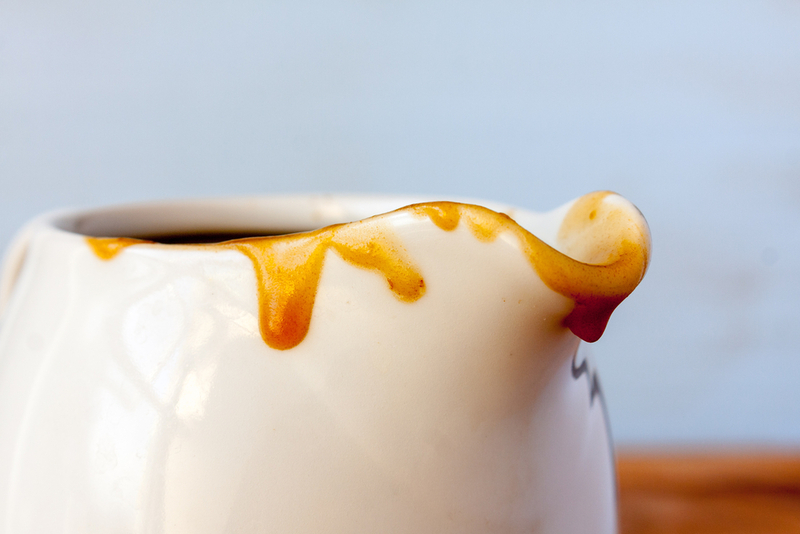 To healthify your gravy, make it from scratch, refrigerate before serving and skim off the fat that solidifies on top with a spoon! The humble, yet essential, Thanksgiving side earned its spot for a few reasons! Firstly, bread is bread. While it’s the perfect vacuum to gather up the leftover bits of turkey + gravy, is there really anything extra-special about bread with so many other choices? 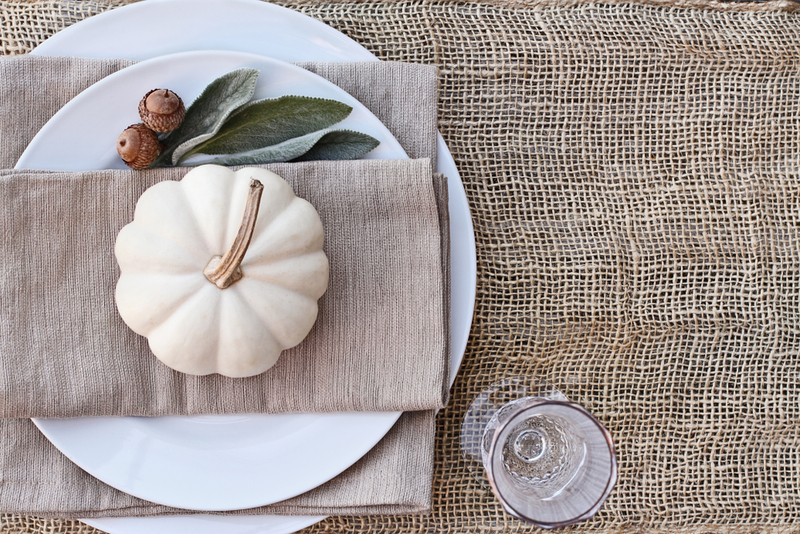 Playing the weight loss (or weight maintenance) game around Thanksgiving means prioritizing your indulgences. 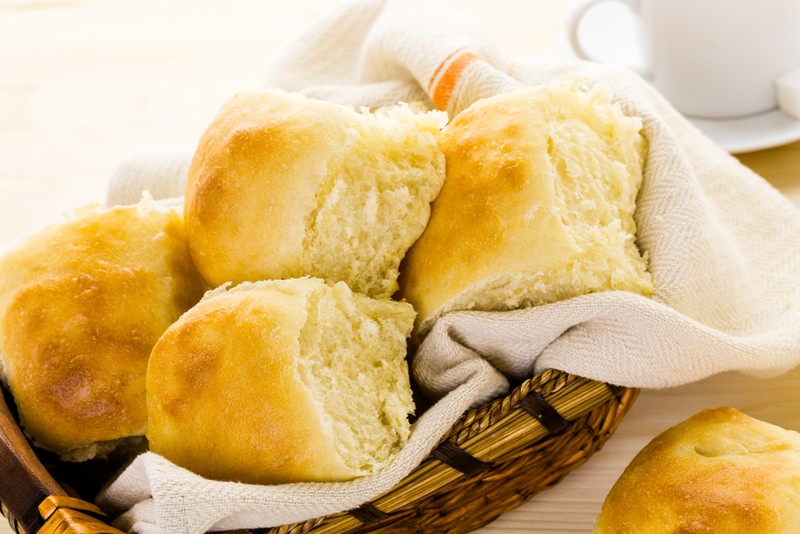 When it comes down to it, plain ole’ bread just doesn’t make the cut for us. It isn’t the worst on the lost by a long way, though. Without the added butter or sugar or many other dishes and the fact that you can use some creative swaps to make them healthier, you have some flexibility when fitting this side onto your plate. Why make several vegetable Thanksgiving sides when you can make one? 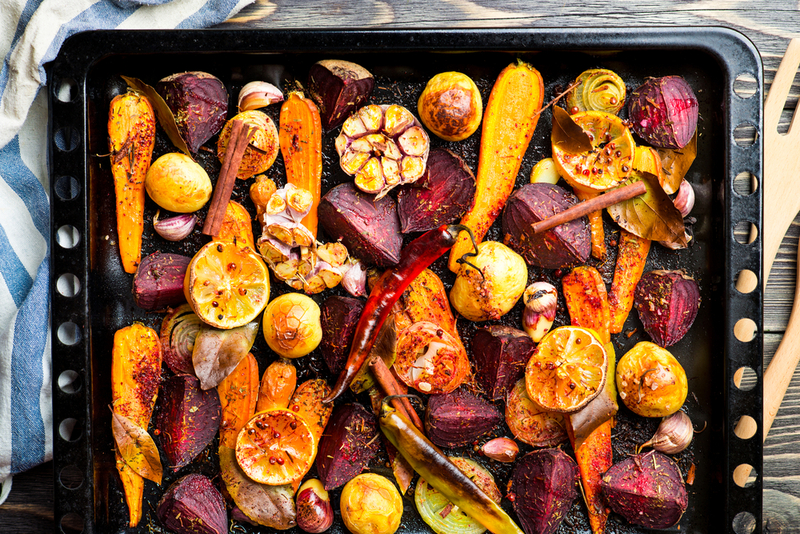 Roasted Root Hash (or any variation of roasted vegetables) covers all your bases! It can feature everything from sweet potatoes, carrots, and parsnips to Brussels, beets, and yucca. Top these guys in avocado oil, herbs, salt + pepper before roasting them in the oven. You could also toss in some bacon bits, nutritional yeast, or create your own healthy dip to accompany your healthy Thanksgiving contribution!